Ask Yourself: Would you want to take your own class? 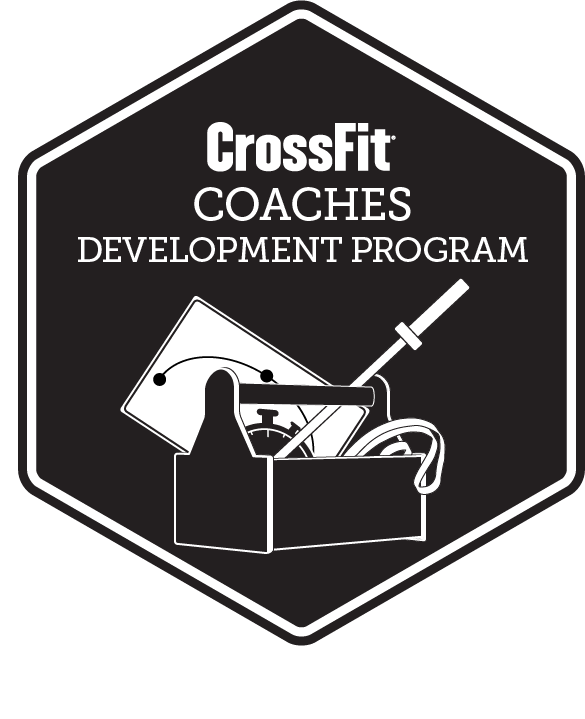 In the CrossFit Coaches Development Program participants are immersed in the day-to-day operations of a CrossFit affiliate and provided a unique opportunity to shadow and learn from some of CrossFit’s most successful affiliates and coaches. An intensive three- or five-day program designed for CrossFit trainers at all levels, the program is open to no more than four people for any given session, allowing staff members to assess each participant’s individual needs and interests to create a customized learning experience. Through workshops, case study and peer discussion attendees will dramatically improve their coaching skills as they observe experienced coaches at work, develop lesson plans and lead classes. The longtime affiliate owners/head coaches who lead the course provide constant feedback, analysis and suggestions for improvement. Beyond coaching and running classes, participants will have the opportunity to take part in the day-to-day operation of the affiliate, learning about program development and implementation, leadership, business practices and long-term planning. Upon completion of the Coaches Development Program trainers will return to their home affiliates with a fresh sense of purpose and new perspectives for how to train clients and run their businesses. The entry-level trainer will benefit from extensive guidance on how to teach, see, correct and scale CrossFit’s foundational movements in a group of mixed ability. The mid-level trainer is fairly seasoned and has the ability to manage classes with a wide range of participants, yet he or she often does not receive regular and timely feedback. The actionable, real-time feedback of the Coaches Development Program allows trainers who feel stagnant to get out of the rut and accelerate professional development. The seasoned trainer, often an owner/head coach with multiple years of experience, will receive high-level feedback on strengths and opportunities, allowing him or her to validate and fine-tune existing skills. Rapidly identify root causes of faults in group classes and individual sessions. Manage class logistics for groups of all sizes by maximizing space, addressing equipment concerns and performing safety checks. Offer multiple scaling options for beginner, intermediate, advanced, elite and injured/limited athletes. Effectively program for and develop a deeper understanding of all clients: new athletes, health-and-wellness athletes, recreational competitors and elite competitors. Implement specialized classes and programming within your affiliate; i.e., competitors, kids, gymnastics, weightlifting, etc. Discover and cultivate an authentic presence and attitude to better lead groups and create positive, energetic learning environments and communities. It is recommended that attendees have taken the Level 1 Certificate Course and have group coaching experience. Courses in Germany and the United States are offered in English. Courses in Brazil are offered in English or Portuguese. Upon successful completion of this course, a Certified CrossFit Trainer may claim one CEU for every content hour of the program towards their continuing education (e.g., 21 CEUs for three-day track). Discounts are offered for groups of two or more. Inquire about group rates by contacting seminars@crossfit.com. Links to the Seminar Guide provided in confirmation emails upon course registration. Seminar Guide (sent with course confirmation emails). Those who attend the Coaches Development Program receive a Certificate of Attendance. Please arrive at 8:30a.m. on Day 1 to check in. Days generally run 9a.m.-5 p.m. Lunch usually occurs around noon. The schedule varies by day and length of program (e.g., three- or five-day track). Each day includes a workout, coaching sessions, observation, debriefs and classroom work in a safe, supportive environment.